Why would anyone worry about radiation, mercury pollution coming out of every coal fired electrical plant in the world, vaccines, most pharmaceuticals or genetically modified food? Pesticides are not a problem nor is plutonium or the massive nutritional deficiencies gaining ground in the public. 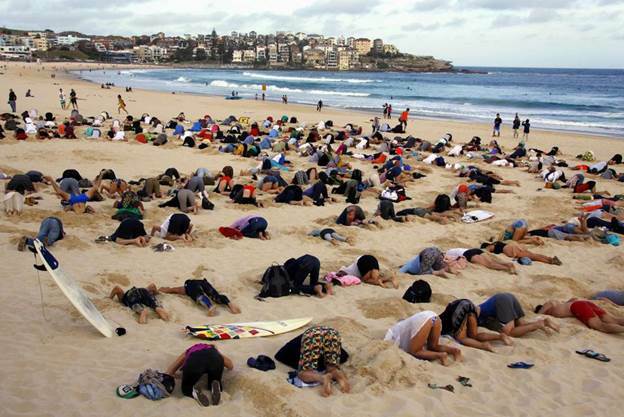 Though these Australians in the above picture are demonstrating against their own government’s climate position I think it represents quite well, how most of us are dealing with the great problems facing our civilization. The government says radiation is safe. Experts say it is safe, doctors say it is safe. Therefore, it must be safe so relax. TEBCO is officially telling us that radiation has reached the west coast but do not worry about it. It is safe radiation. It might even be good for you if you believe those who believe in such things. 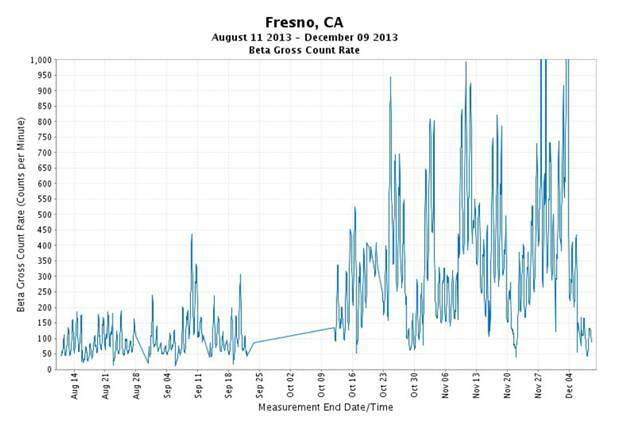 Radiation is up across the country according to EPA monitoring stations but that is not even worth a mention in the press since everything is safe. I wonder why we have not had a nuclear war since that probably would be safe as well. It is also safe to let psychopaths go un-confronted so they can run large corporations, banks and governmental institutions like the FDA and CDC. 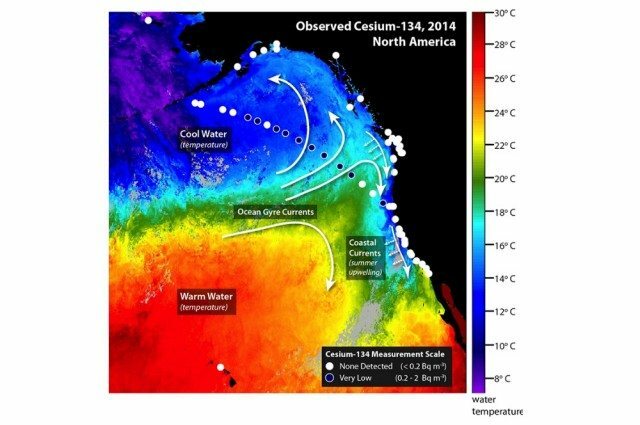 As news came out about yet another finding of Fukushima radioactive contamination offshore of North America, TEPCO published a rather bizarre press release. The corporate statement insists the contamination “Level raises no concern for human or animal health”. This is a bit like taking healthy food advice from McDonalds. They go on to misrepresent statements made by Woods Hole for their own purposes including one twisted to try to claim cesium doesn’t contaminate fish. This is obviously untrue. Statements demanding people adopt an idea about public or personal safety usually don’t come from a company. Even less often from the company that did the damage. More rare when it comes from a foreign company trying to bully the US public the way they have done so to the Japanese public. 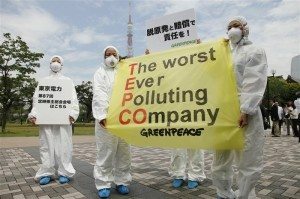 TEPCO’s actions have not gone over well in Japan, so they have even less of a chance of success with the US public. In a press release, TEBCO is saying it is all safe, no threat; do not worry about a thing. Do you trust them? Why should we? Are we all children? Fukushima is like an express train barreling down the tracks right at you but it’s nothing, only the worst nuclear disaster in history promising to get worse and worse and stay around destroying robbing future generations of their life expectancy. Even "the smallest dose has the potential to cause a small increase in risk to humans says a 2006 report from the National ReII arch Council arm of the National Academy of Sciences. This report, known as BEIR VII, is the latest in a long series of radiation health reviews done at the behest of the federal government. Under this theory, risk rises as exposure accumulates over time. No matter what science says there are always those out there who believe that radiation is not a problem since we live in a universe alive with radiation. Without radiation, actually we would be quite dead since we ourselves absorb radiation and re-radiate it out. Some scientists assert that low levels of radiation are beneficial to health (this idea is known as hormesis). Mostly these scientists are like the people in the picture above with their heads stuck in deception. They like to forget that part of the problem, which has nothing to do with hormesis, is the direct absorption of radioactive particles that come through foods and even the air. The person who wrote that has a long relationship with the nuclear industry and if you want to believe in people like this I wish you good luck. For years I have written against this dose makes the poison philosophy that pharmaceutical companies so much love. It is ignorant to put magnesium as a deadly toxin and radiation as safe as mom’s apple pie. Special Note: Ebola Death Toll Surpasses 5,000 Worldwide. In the same period of almost a year, properly prescribed safe pharmaceutical drugs, in the United States alone, has killed approximately 100,000 Americans. Vaccines are not safe. Not a single scientist, immunologist, infectious disease specialist or medical doctor has ever been able to establish a scientific foundation for the vaccination of infants (less than one year old). That’s because the science is clear and there is no basis whatsoever either through empirical or any type of measurable evidence supporting the practice. As one immunologist has admitted, the reasoning vaccines are administered at pediatric wellness visits is to train the parent. Few are paying attention to Fukushima and the dangers and the crime and shame of it all. Of course, the increases in radiation are safe no matter how high levels go. We can expect a whole range of illness to increase from safe radiation. This year’s radiation levels in the United States has also shown substantial increases but because it is so safe, we do not hear about it.